Posted on 2011 June 10 2011 June 10 Author The Grey LiteratureTags Grad school, McGill, Schoolwork, Thesis, Why is this so hard? Out of curiousity, when you use RunKeeper, do you use an app on your iphone to keep track of your starting time/location and your ending time/location? Or do you just enter that stuff manually later? Assuming your thesis is approved and that it is accepted with a reasonable amount of revisions, what are you going to do with the rest of your summer? RunKeeper does have an iPhone app, which uses the GPS to keep tabs on you throughout the course of your run/ride, not just at the beginning and end. It’s really something. It would be really awesome if my readers finished with my thesis in good time, but we’ll see about that. As long as I graduate in the fall, I’ll be good for starting my nursing programme. For the rest of the summer, my supervisor has hired me to co-author a paper with him based on my thesis. We’re going to try to publish it. It’s something of a challenge to distill an 87-page document down to 3000 words (which works out to roughly 9-10 pages). I’ve got it down to 13 pages so far, but according to my supervisor (or I suppose, now he’s my co-author more than my supervisor) the last section needs work. So that’s going to be taking up most of my time, but then I also have roughly 12 different concepts for iPhone applications that I’ve been toying with for the last few months. Some of the ideas aren’t so great, but then 1 or 2 of them are simple, original and fun. I’m going to try to make at least one more app before the summer ends. Hi, I am working on my thesis. 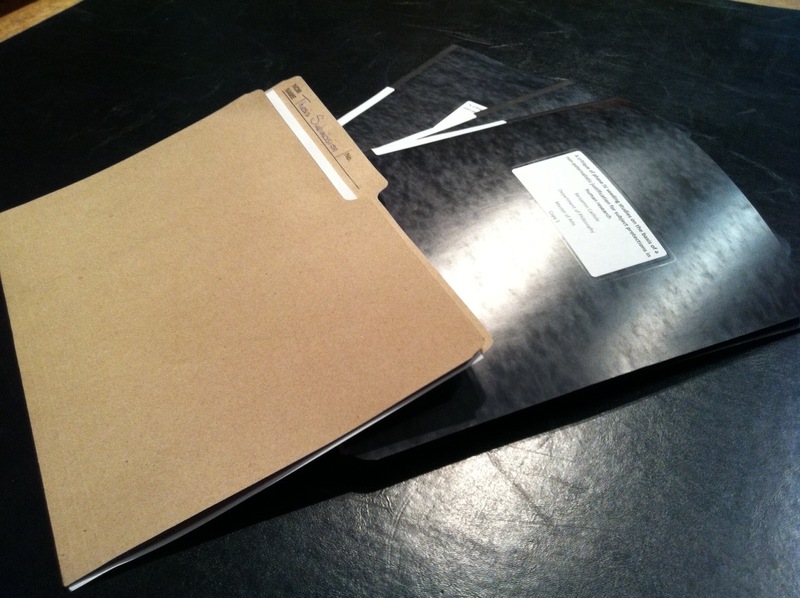 Would you please let me know where can I buy some ACCO-press binders around McGill campus? Thank you.